aSa Bar List puts quicker project turn-around and more efficient workflow right at your fingertips. 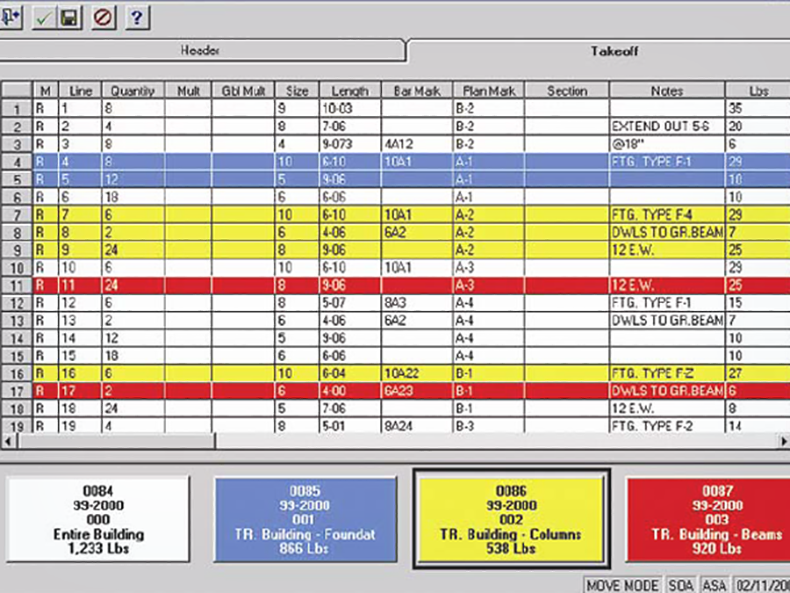 Rapid takeoff screens and accurate, flexible reporting give your office, shop, and field the tools and information they need to work smarter. 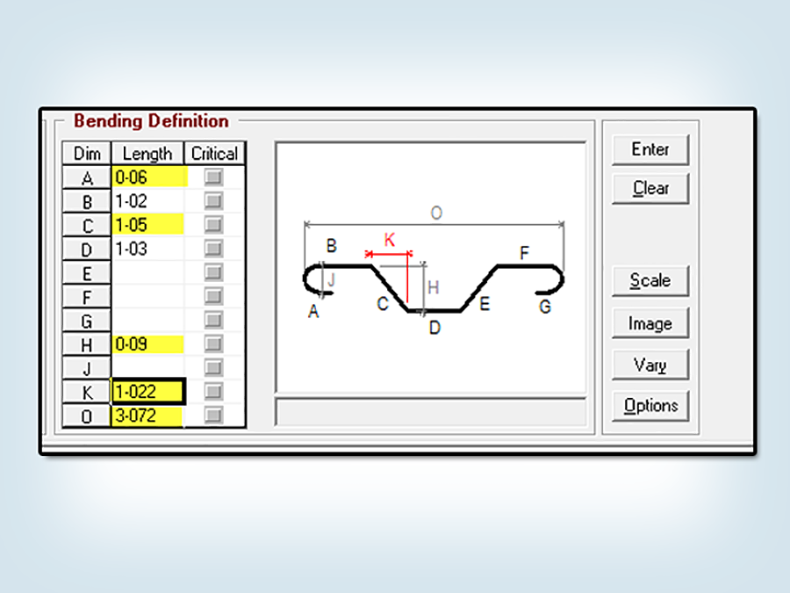 All industry standard shapes are built into the system, plus you can draw and define your own custom "special" bends using aSa Shape Manager. Enter details once. 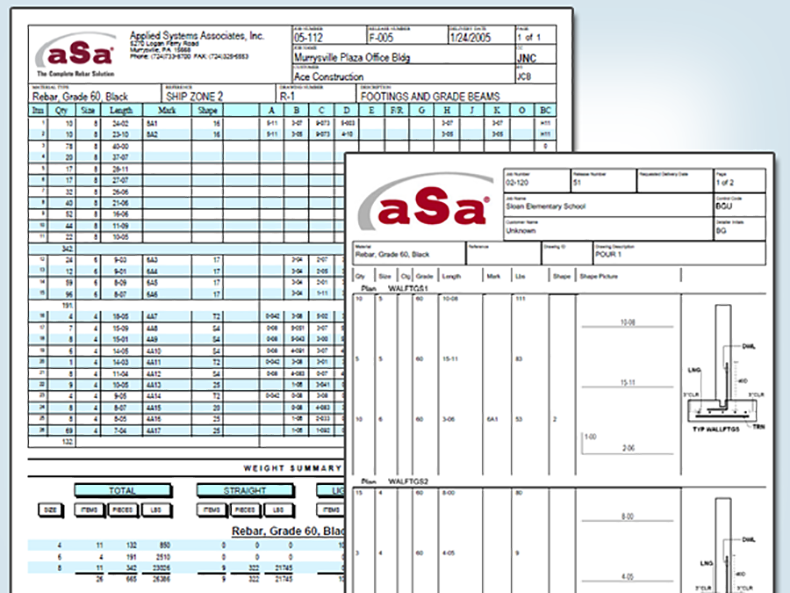 A multitude of management, fabrication, and placing reports are generated from a single material list..
(Using aSa Bar List and Sales Order), we have a single person who does the entire job; as long as that person checks the list carefully, we've virtually eliminated errors. Scroll through the screens below to explore just a few of the many benefits of aSa Bar List. 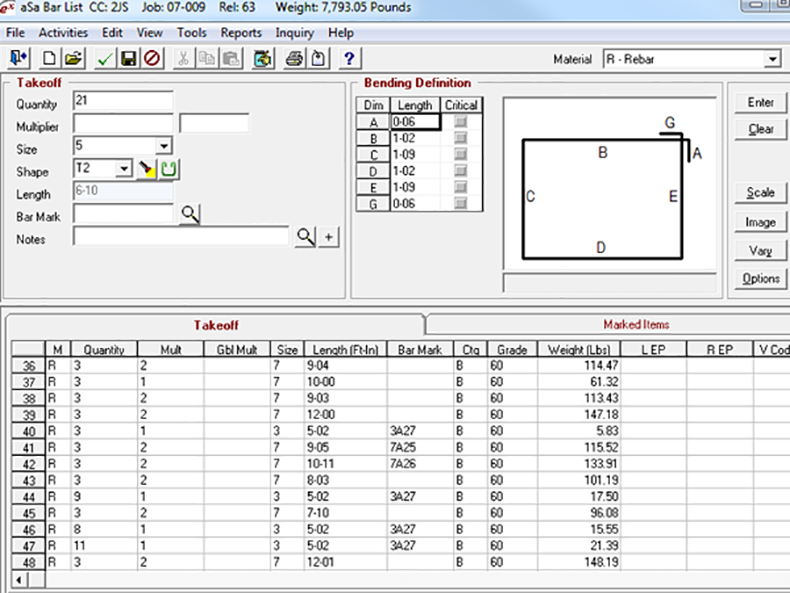 Standard hooks and bending dimensions automatically calculated for you. 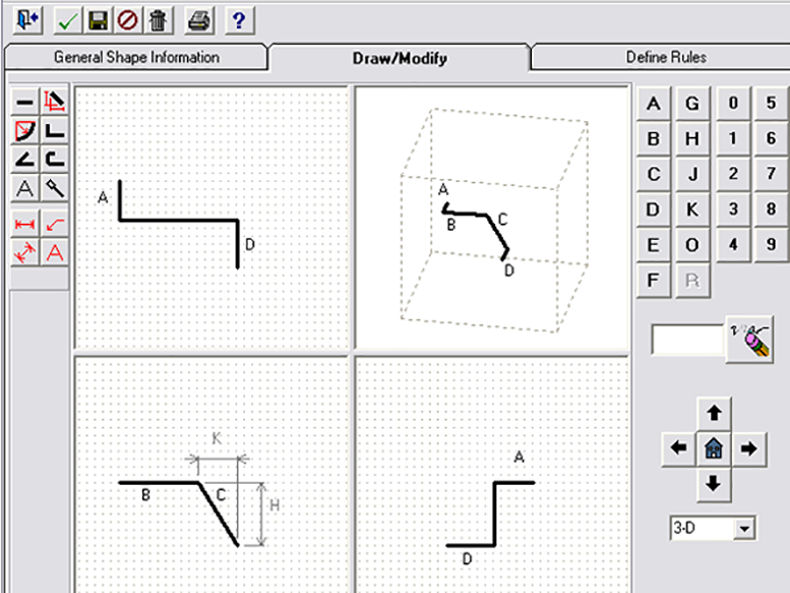 Draw and define your own custom shapes. Copy and move takeoff lines between bar lists. Reports provide key information to managers, shop employees, and placers.